A month ago, on an Italian forum an user was selling a Ray Scalper license for half the price. I read good words on it, and I wanted to buy it, then I went in holiday and when I came back it was already sold. What a pity. A friend of mine instead bought it for the New Year holidays and today he shown me what result he had. At this point I regret that I didn’t buy it at half the price! 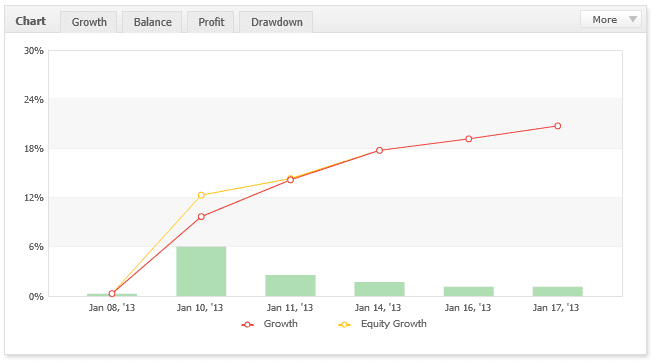 It has a 100 pip stop loss, but it makes 20 pips a day, so it can recover fast. I am thinking about buying it, it costs $350 (+ VAT if you are in Europe, unfortunately…) With a $1000 account I think it can recoup the initial costs in 2-3 months, if everything goes fine. you can buy ray scalper using moneybooker option. works out about 40% cheaper. email [email protected] and request for direct payment offer. Next Next post: Confirmed: I bring bad luck!